They say that brand loyalty is dead. That the people of today are tempted by the best deal in town rather than any particular name they grow to trust. On the other hand, there’s something undoubtedly irresistible to walk into the door (or to log into your e-banking account) and see a familiar face, or at the very least, the convenience of having all your finances in one place. As with all choices, there are pros and cons to each options, so should you actually stay loyal to one bank or not? One click, or one visit to one financial institution, is all you need to access your financial services and assets. This one-stop solution is very appealing to the time-pressed, as every visit to the bank takes time. You can also transfer or make payments between accounts in the same bank much more easily. You look more valuable to the banks if you have a significant amount of assets parked in their institution, and of course it’d be nice for them to know if you’ve been a diligent and prompt paymaster of debts as well. Large deposits with the same bank will lend you more clout in negotiating for better savings rates, reduced account fees, or waivers. They might even offer such perks to you as a matter of goodwill! The bank will know you financially and be able to advise you on how to optimise your finances and investments through suitable products in their arsenal. The more products from the bank you’ve tried throughout the years, the better the financial profile they have of you, and they’ll feel more confident suggesting products that suit your financial standing or risk appetite. Did you know that your bank deposits are actually protected by an automatic insurance called PIDM? PIDM insures your deposits up to a maximum value of RM250,000 per bank. While there are several exceptions to this rule, the very maximum PIDM-insured amount you can get from a single bank is RM500,000, and that only when you use joint-name accounts or separate conventional and Islamic accounts within the same bank. Basically, once you deposit more than RM250,000 (or RM500,000, as the case may be), the excess sum will not be insured by PIDM. This means that if you deposited RM300,000 when the bank closes down, your remaining RM50,000 balance must be separately claimed for with the liquidator! On the other hand, because PIDM insures your deposit per bank, you can easily save RM1,000,000 spread across four different banks and still be completely insured. The risk with sticking to a favourite bank is that you might be missing out on better deals offered by competitors. If your favourite bank feels stable and established with sufficient funding, it may not work as hard to attract new investments, which means that you may not get the most out of your money compared to other banks that may be hustling out there. The problem with keeping all your proverbial eggs in one basket is basically the risk of not diversifying: you stand to lose a lot more in the event of identity theft. The thief basically has to steal just one set of personal details to access all of your assets, so instead of maybe just losing your credit card, you may end up losing your savings, fixed deposits, unit trusts, and many more! Now that you’ve digested the pros and cons of staying loyal to one bank, what is your conclusion on the matter? 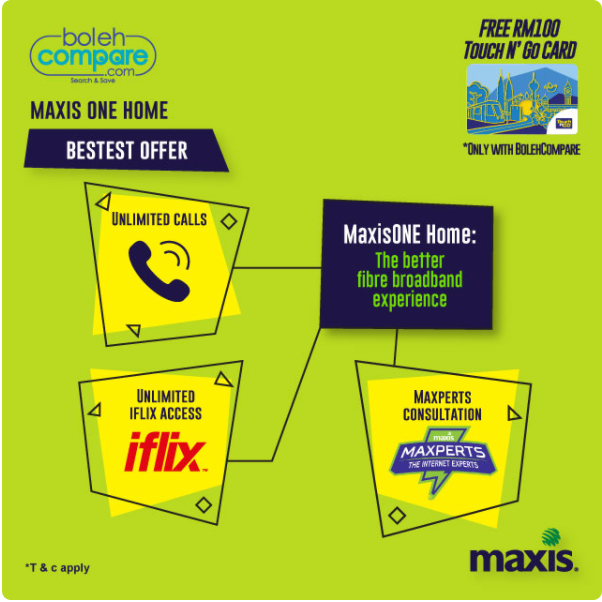 New MaxisONE Fibre Rates in Town! UniFi Pro to Retail at RM129!